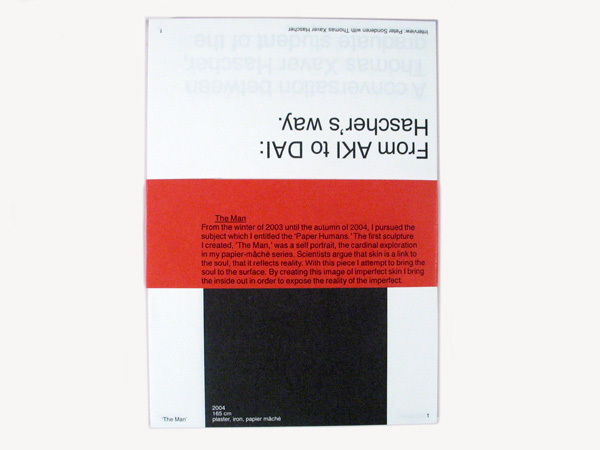 is an limited artists' edition designed for emerging german artist Thomas Hascher on the occasion of his graduation from the Dutch Art Institute's mastercourse. With the binding placed in the center, the format of the book accommodates for the frame stills of two video pieces. With a flip book animation on each page fore edge, the reader can experience each video piece remotely. 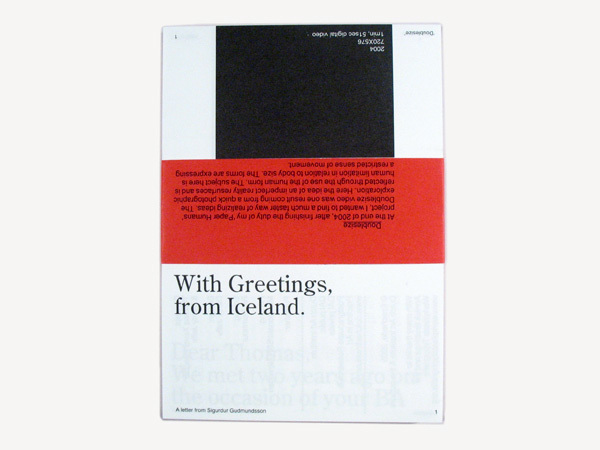 The quirky title is taken from the closing of a personal letter from Sigurdur Gudmundsson addressed to Hascher, the text from which is dispersed throughout the publication.